Here’s what’s up in the world of TV for Tuesday, June 6. All times are Eastern. 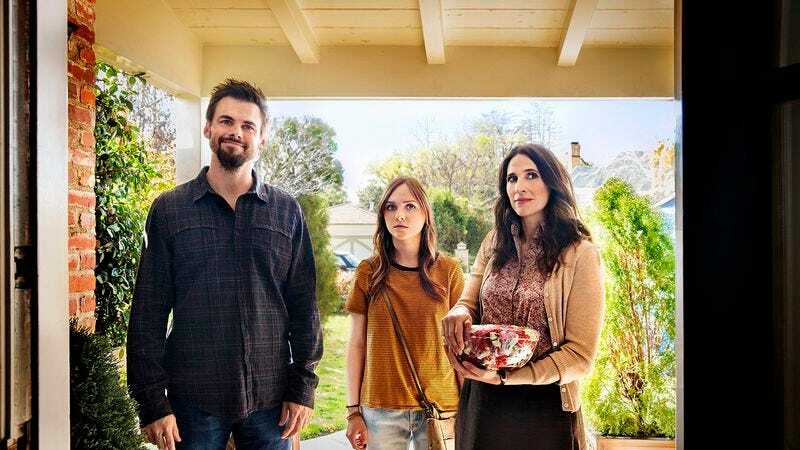 Casual (Hulu, 3:01 a.m.): The first season of this show about modern relationships got rave reviews around these parts, only slightly soured by an off-key finale. But no matter, as season two kicks off with an hour-long episode that features siblings Valerie and Alex still trying to navigate the endless dysfunction of their lives. Alison Shoemaker is here again to chronicle it all. Person Of Interest (CBS, 10 p.m.): Tonight’s episode sees the show throw all caution to the wind as the person of interest is the damn President Of The United States. You know, we know Barack Obama has been big on the outreach at least since that Between Two Ferns appearance, but we feel like we would have heard about him filming his guest spot. Alexa Planje will be by to review this just as soon as she’s sure we understand how fiction works. 20/20 (ABC, 10 p.m.): Robin Roberts sits down for an hour-long interview with Bobby Brown. This presumably is going to try to balance a relatively good-natured reflection on his music career with a discussion of the untimely deaths of ex-wife Whitney Houston and daughter Bobbi Brown. Feels like this could be some rough sledding ahead, all things considered. Dark Woods Justice (Discovery, 10 p.m.): ID’s more civilized relation Discovery tries to compensate for the end of Fear Thy Neighbor with the premiere of its own crime-themed show, but this just isn’t going to get it done, now is it? : “A reality series following Sheriff’s deputies as they patrol the forests of the Olympic Peninsula in Washington state. In the opener, officers search for thieves who are using the woods to hide and commit their crimes.” No, no it is not. Where are any of the machetes, dammit? My Giant Life (TLC, 10 p.m.): The second season kicks off for this reality show about women who are all 6’6” or taller. Just to put that into perspective—and prove we occasionally to do a modicum of research for these things—the women on this show are taller than all but five of the players in the WNBA. Uh, assuming that none of those five are on this show, we guess. Like we said: a modicum of research. Separation Anxiety (TBS, 10 p.m.): This dating-based game show wraps up its season, and one of the players tonight is “a man who had been deployed in Afghanistan.” We initially misread the verb tense on that and thought a TBS game show was partially filming in Afghanistan. Now we’re disappointed. Tosh.0 (Comedy Central, 10 p.m.): Whatever. It’s back. Not Safe With Nikki Glaser (Comedy Central, 10:30 p.m.): As is this. We’re not performatively apathetic about this show like we are with Tosh.0, but we also don’t really have anything to say about it, so… huh, kind of wrote ourselves into a corner here. Screw it, here, have some wrestling. Truly America’s last great art form. Regular coverage AKA man, The Mindy Project just can’t catch a break around here, huh? “Fustercluck,” Terriers (Netflix): We could quite happily pick Terriers as the top pick, let alone the streaming pick, for the rest of our days, but let’s single out the fourth episode, because that’s the one with a heist in it. Heists are fun.